Africa and Asia Pacific serveware for creative tables. Butterfly Ginkgo round platter. Approximately 8.25"Dia. x 2"T. Hand-textured stainless steel with natural and oxidized brass detail. Butterfly Ginkgo large centerpiece bowl. 23.25"W x 18.5"D x 10.25"T. Hand-textured stainless steel with natural and oxidized brass detail. Hand wash. Butterfly Ginkgo medium tray. 11.5"W x 10"D x 1"T. Hand-textured stainless steel with natural and oxidized brass detail. 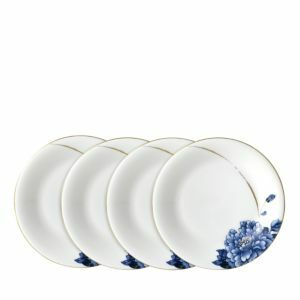 Organic motifs and a touch of luster make this dinnerware a striking statement for your table. In stunning vibrant hues with glittering 24K gold details, Prouna's My Honeybee collection lends an enchanting note to the table. 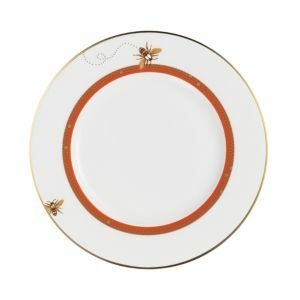 In stunning vibrant hues with glittering 24K gold details, Prouna's My Honeybee collection lends an enchanting note to the table. 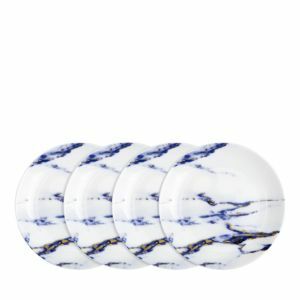 Rosenthal products are designed by artists devoted to creating unique designs that embody the aesthetics of today but will endure for infinite tomorrows. Simple yet sophisticated shapes give this elegant white china a contemporary look. Designed for compatibility, this pattern coordinates with Suomi Rangoon. 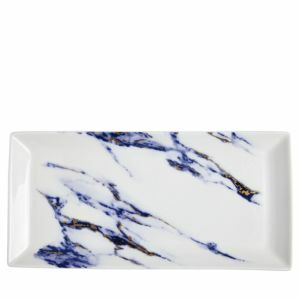 Brass/sheesan wood This generous serving dish features a lush blue floral pattern that instantly elevates whatever it contains. Decaled stoneware. 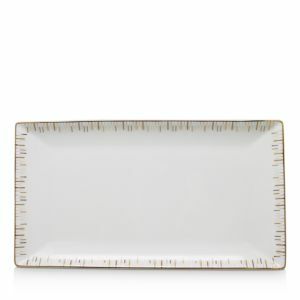 Dishwasher and microwave safe Handcrafted centerpiece tray of hand-textured stainless steel. Natural and oxidized brass stand Floridian Paige Gemmel is a self-taught artist whose work delights in the whimsy of the animal kingdom. Often experimenting with vibrant colors, eclectic adornments and sketched botanicals, she reveals a harmonious blend of traditional and unique styles in each of her eye-catching pieces. Handcrafted glass nut dish. Hand-textured stainless steel. Natural and oxidized brass trim. Handcrafted triple bowl stand with spoons. Hand textured stainless steel. Natural and oxidized brass stand. Glass bowls. Handcrafted two-tier étagère of textured stainless steel. Natural and oxidized brass trim. Explore new shapes for your table with innovative New Wave dinnerware sets. 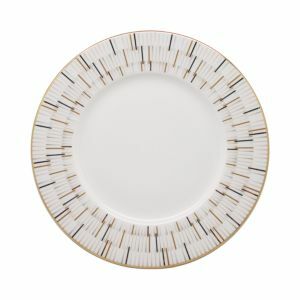 Unique, fluid serveware and plates in premium Villeroy & Boch porcelain work together to create one ultra-modern and imaginative presentation. 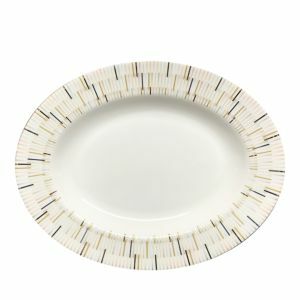 Serve sushi in style with these iconic Villeroy & Boch New Wave shaped plates and dip bowls. Cake stand with marble top. Natural oxidized brass base. Cake stand/serving pedestal. 12"Dia. 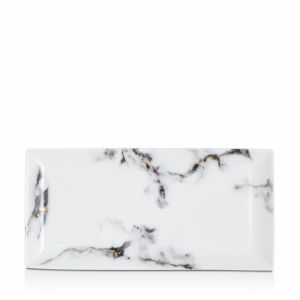 x 4.5"T. Polished brass base; Carrera marble top. Wipe clean. Slicing a baguette to make crispy crostini or bruschetta is a delight on this smart bamboo cutting board with crumb tray. Use the Leo bread knife to saw through the bread crust and then lift up the tray to clear out the crumb catcher underneath. 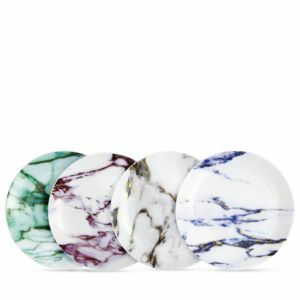 You'll surely impress your guests when you serve your colorful appetizers on this stylish board. This 3-piece set is perfect for serving tapas, antipasti, cold meats, cheeses, and bread, which can all be cut directly on the bamboo board. 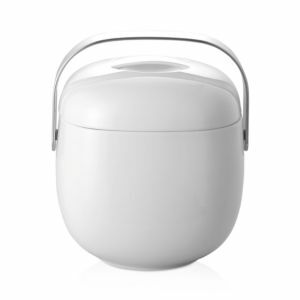 The small bowl is just the right size for butter, herb-infused oils, sauces or dips. Need more serving space? Simply lift the bamboo board from the tray to double the space for your tasty delights! Cracker tray of nickel-plated cast aluminum. Chip and dip serving platter. Includes glass bowl and decorative lid. Nickel-plated cast aluminum. Food-safe enamel trim. Bowl and stand set. Nickel-plated cast aluminum. Two-tier stand with removable trays. Nickel-plated cast aluminum. Food-safe enamel trim. 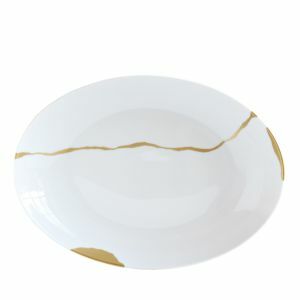 Platter made of earthenware with 14-kt gold accents. Butterfly Ginkgo small cheese board and knife. Board, 16.5"W x 5.75"D x 1.75"T; knife, 6"L. Board of marble with natural and oxidized brass detail. Knife of stainless steel with oxidized brass handle. 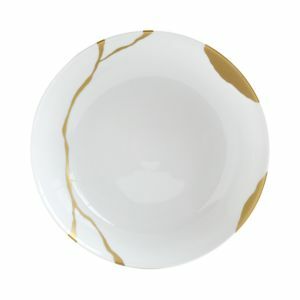 Dessert plate made of earthenware with 14-kt gold accents. 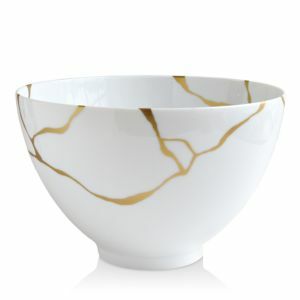 A beautiful mix of jade and gold tones make for a stunning serve bowl or keep on your table as a centerpiece bowl. 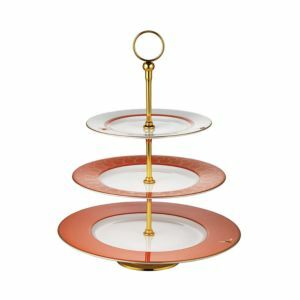 Present your cakes with all the elegance they deserve atop this elegant cake stand and its companion cake server. Handcrafted trivet. Gold-tone and oxidized stainless steel. 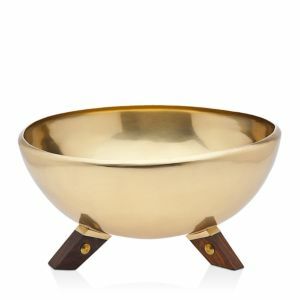 Bowl made of natural and oxidized brass. 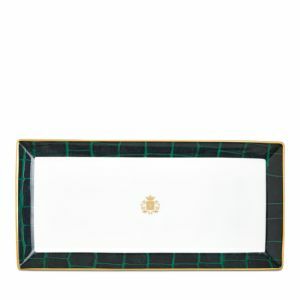 Handcrafted tray. Natural sugarstone platter rests in forged iron tray with two butterflies resting on handles. Enchanting nut dish perfectly captures the delicate beauty of the ginkgo tree—from its butterfly-shaped foliage to its irresistible texture. Handcrafted cheese board and knife. Granite, natural and oxidized bronze, and stainless steel. Made of stainless steel, oxidized metal, and natural bronze. Stainless steel tray. Dishwasher safe. Inspired by the movement of waves in the ocean, the rim of the Wave Bowl rises and falls creating a recurring pattern that draws the eye in. 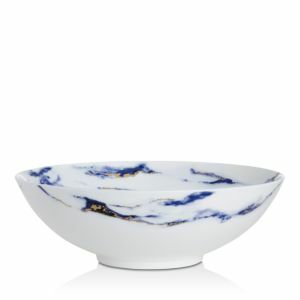 Beautiful as a décor item or serving piece, this bowl can be heated or chilled before use. Handcrafted snack bowls. Each bowl, 4"Dia. 18/8 stainless steel with black nickel, copper, and brass plating.